Even the most reliable car is going to experience some problems over time. You can prevent these problems or lessen their severity by making sure that you keep up with general maintenance. There are plenty of ways to take care of any hiccups that come along yourself, but if you’re not mechanically inclined, you can always book your Toyota in to see a professional. 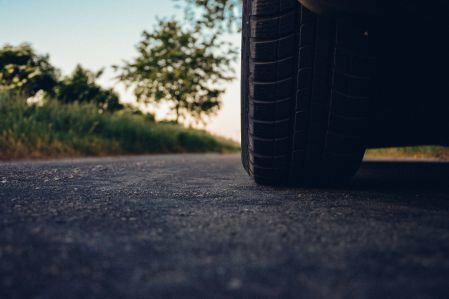 However, for those of you who’d like to keep on top of any maintenance issues that might arise to ruin your daily commute, we here at Westbury Toyota have put together a quick list of five simple maintenance tips you can follow to keep your car running as smoothly as possible – and ensure that your daily commute is always pleasant and safe. There’s nothing quite as frustrating as driving through heavy rain when your wipers aren’t up to snuff. You can tell when your wipers need replacing because they’ll start to leave streaks behind or they’ll do a subpar job of wiping water away. This isn’t just an irritation – it can also be a dangerous distraction as it obscures your vision while driving in the rain. Fortunately, changing out your windshield wipers is a fairly simple procedure that most people can handle. This is something that will only take about fifteen to twenty minutes and is pretty cheap to do – all you need to do is purchase the right kind of wiper blades for your vehicle. If you're not quite sure which wipers blades go with your Toyota (or vehicle from another automaker), don't worry; your friends here at Westbury Toyota can help you figure out the perfect pair of wiper blades for your daily driver in just a few short minutes the next time you give us a call or stop in for a quick visit. A car battery is something some people neglect or fail to think about when it comes to general maintenance. The fact is that the connection between your battery and your vehicle can become obstructed over time. This can lead to multiple issues, including a dead battery. It’s not hard to tell if you need to do something about this, explains David Bakke of Money Crushers – all you need to do is perform a visual inspection. The most telltale sign of a problem is white residue on the posts. If you notice this issue, you are in luck; cleaning the posts is a very simple process. All you need is a cleaning solution (or some soda if you have a soft drink on hand), a wire brush, and some rags. From here, pour the fizzy soda or cleaning solution onto your battery posts (after you disconnect the cables, of course), scrub away with the wire brush, and wipe everything down until it is dry and clean before you reconnect the battery cables. The general rule of air filter maintenance is that it gets changed out either every 12,000 miles or every 12 months. It’s something any mechanic can quickly do, but it’s also something you can handle on your own in about 10 to 20 minutes. You’ll need to have the proper air filter for your vehicle make, of course, and from there it’s just a matter of locating and replacing the old one under the hood (if you’re having trouble, check the owner’s manual). You may not have to buy a new filter: A quick blast of compressed air on the old one might clean it out enough to keep it serviceable until the time comes for a complete replacement later on down the road. As the writers over at Best DIY explain, it’s just a matter of targeting stains and then doing a deep clean of the rest of the seats. Once you’ve done that, leave the windows open all day or overnight in order to let it dry and air out. Dirty headlights aren’t just a nuisance, they’re also a hazard. To make sure you’ve got ideal visibility during your commutes, it’s not a bad idea to clean your headlights every now and then. You can use water and a cloth to clean them if they’re not too dirty, but in the event that they need a bit more than that, you can use a headlight cleaning product or restoration kit and some plain old elbow grease. If you want to get the best out of your Toyota on your daily commute around Long Island for as long as possible without having to hit up the mechanic, it’s a good idea handle some simple maintenance tasks on your own. Obviously, anything too complicated is best attended to by a professional, but the ones we’ve listed here are easy to do on your own. Keep up with them to ensure your daily commutes go as smoothly as possible for years to come!